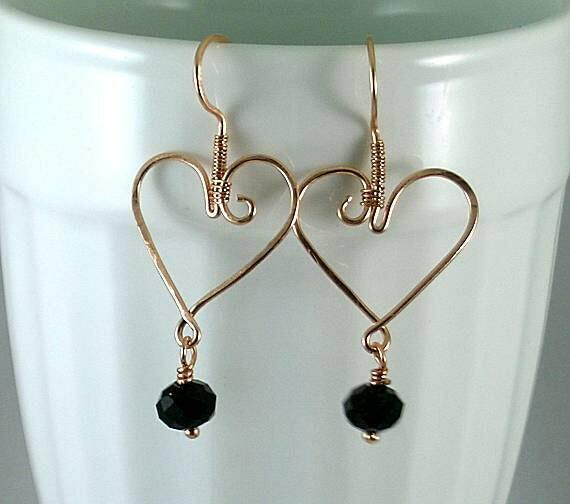 Wire Wrapped Heart w/ Black Crystal Earrings - All in One! 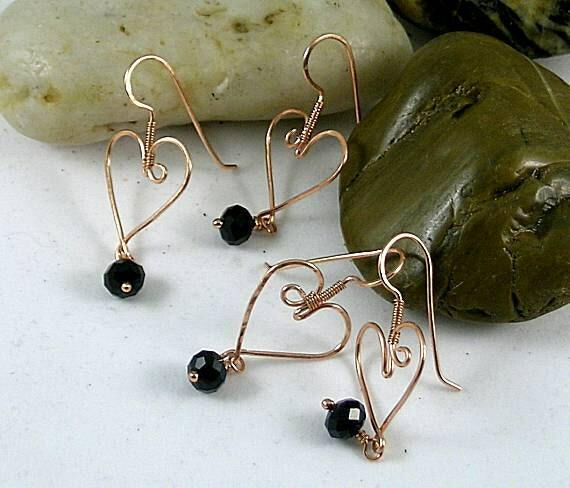 These dangle earrings have a 8 x 6mm black crystal roundel at the bottom. 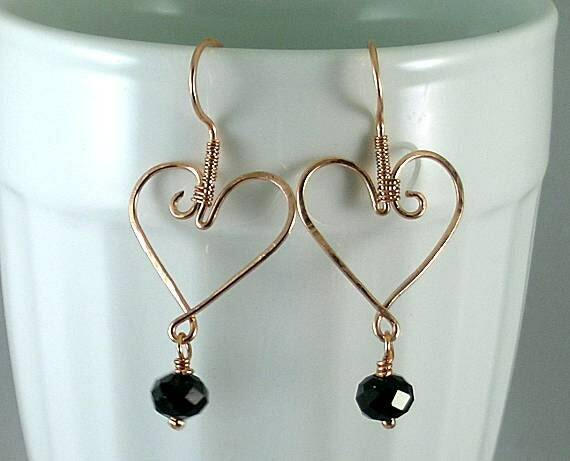 They are attached to a wire-wrapped heart that continues upward to form the ear wires. 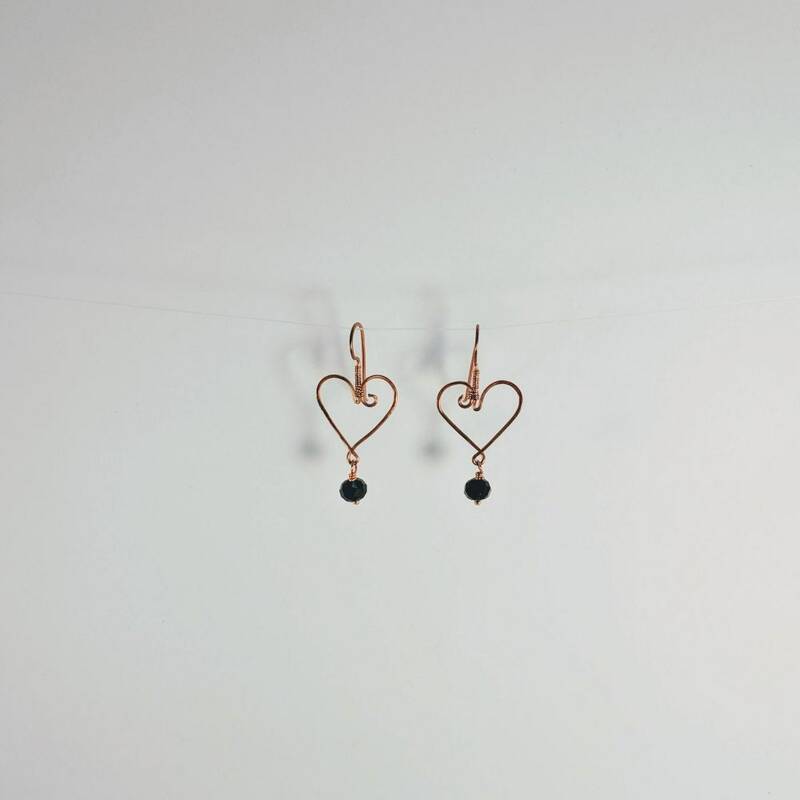 The complete earring measures 2" from the top of the ear wire to the bottom of the dangle.